Tony Graham Q.C. is our Stable Director, elected by our membership to represent the Stable and its members on the Board of Faculty’s service company, Faculty Services Ltd. He has also previously served a number of terms on the committee of The Scottish Criminal Bar Association. He practises almost exclusively in the High Court of Justiciary, defending those indicted there. Since calling in 2002 he has consistently enjoyed one of the busiest High Court practices of the Criminal Bar. He attributes this success to having spent 7 years as a solicitor in one of Lanarkshire’s busiest firms of criminal defence solicitors. He thus came to the Bar with substantial experience of Sheriff and Jury and High Court proceedings as an agent. As a solicitor he conducted in excess of 100 Jury trials. His experience of the Scottish Criminal Courts extends over a quarter century. Tony has been instructed to lead in High Court trials since the week he called. He estimates having been instructed in more than 1,400 High Court indictments, and having conducted in excess of 450 High Court trials. He was appointed to the rank and dignity of Queen’s Counsel in 2017 having been regarded as “Senior Junior” Counsel for a number of years. In recent years, he has routinely been instructed to lead Junior Counsel in cases of such significance as to merit the employment of both Senior and Junior Counsel. He has been lead Counsel in all manner of trials where the charge is of the utmost seriousness, including around 40 murder trials, trials with allegations of Serious and Organised Crime and, in general terms, trials involving violence, armed robbery, sexual offences, drugs offences and firearms offences that are considered at the most serious and complicated end of their own category. Additionally, he has been lead Counsel in appeal cases, including a full bench appeal where the law of evidence relating to video recordings was reformed, and also in successfully opposing an application by the Crown made under Double Jeopardy legislation. In addition, he has substantial experience in the Court of Criminal Appeal, has appeared before Court-Martials, The Judicial Committee of the Privy Council, The Judicial Committee of The General Assembly of The Church of Scotland and has been involved in extradition cases, one proceeding to the House of Lords. 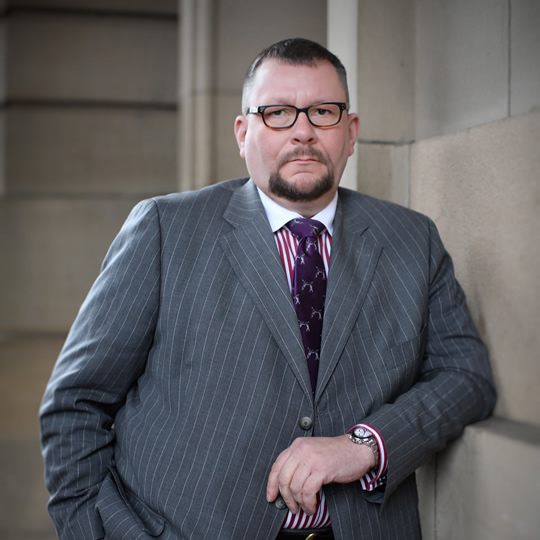 In relation to those prosecuted in the lower courts, Tony is regularly instructed in relation to regulatory criminal offences, road traffic prosecutions and has acted regularly for those employed in public service industries, the armed forces or professions. As an Advocate Depute ad hoc (part time High Court prosecutor) he has prosecuted crimes involving significant violence, sexual offences, robbery, firearms offences, and drugs. He has also been specifically trained by Crown Office in relation to the prosecution of sexual offences. In relation to his media law practice, he has been instructed over many years by publishers of national newspapers and press agencies, providing both pre publication advice and in dealing with post publication issues of defamation and contempt of court. Apart from ongoing professional development relating to Criminal Law, Tony has an interest in medicine, engineering and science, and ensures his knowledge of forensic medicine and science, psychiatry, physics and engineering are such as to be able to effectively examine and cross examine any expert witness who may be called to give evidence. His understanding of matters scientific and medical, and of engineering coupled with his experience in defending those charged with murder, other criminal homicides and crimes with medical consequences has placed Tony in an ideal position to provide effective representation to interested parties in Fatal Accident Inquiries, and to represent individuals or bodies charged with health and safety contraventions. Criminal Defence agent for 7 years prior to Calling.